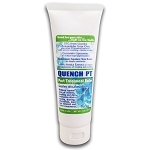 Quench PT is a skin friendly and eco-friendly personal care product. 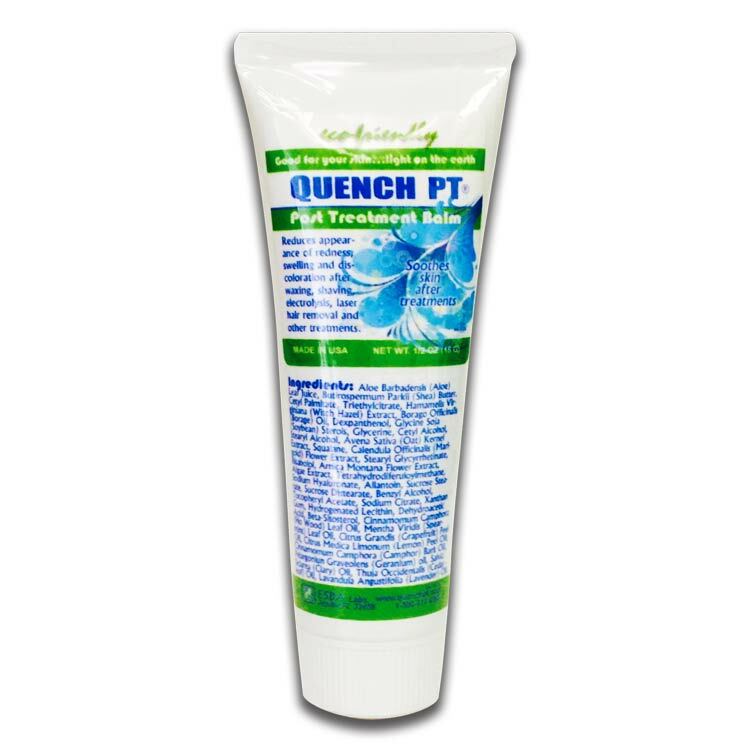 It is a non-oily, quickly absorbing skin balm with a pleasant natural fragrance. 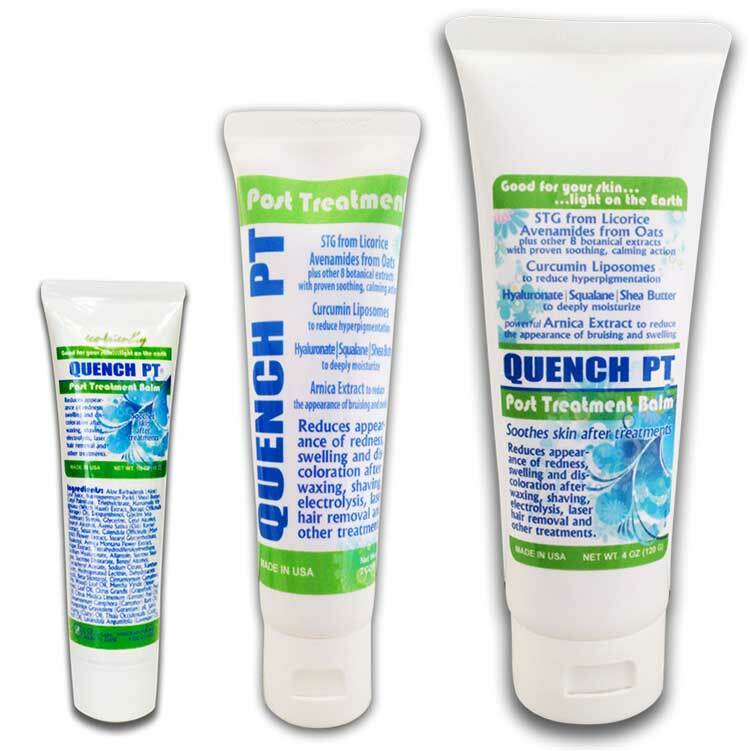 Apply Quench PT after skin treatments such as laser hair removal, thermage, photofacials, electrolysis, waxing, and shaving to quickly soothe the skin. Contains 12 of the best studied, hypoallergenic, efficaceous botanicals with skin soothing action that help improve the skin's appearance after treatments.